Modesto will get a new courthouse. The building will be between 9th and 10th and G and H, about one block from the current courthouse and less than a block from the temporary make-shift courts in the old city hall building and in the Tower Building at 10th and H.
The site was chosen from two excellent possibilities, either of which would have been good for downtown Modesto. Now that the decision has been made, I will do what I can to make the chosen site the best for the future of Modesto. A new courthouse on 10th street is an opportunity for some creative place-making in a part of downtown in need of restoration and increased vibrancy. Already the downtown design committee is discussing how to best incorporate the building site into the downtown fabric. We don’t yet know what the courthouse will look like, but I’ve heard it will be designed by SOM (Skidmore, Owings, and Merrill), an architecture firm with a world-wide reputation and capable of designing a world-class building for Modesto. 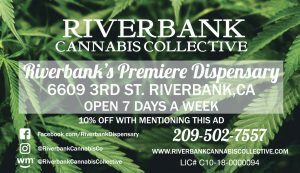 I hope the building will reflect Modesto’s long history of being on the cutting edge of contemporary architecture and reflect green, sustainable 21st century design. I would like to see an iconic building with publicly displayed art and historic Stanislaus Country artifacts. Top on the list would be the statue of Justice that stood on the 1870s courthouse. 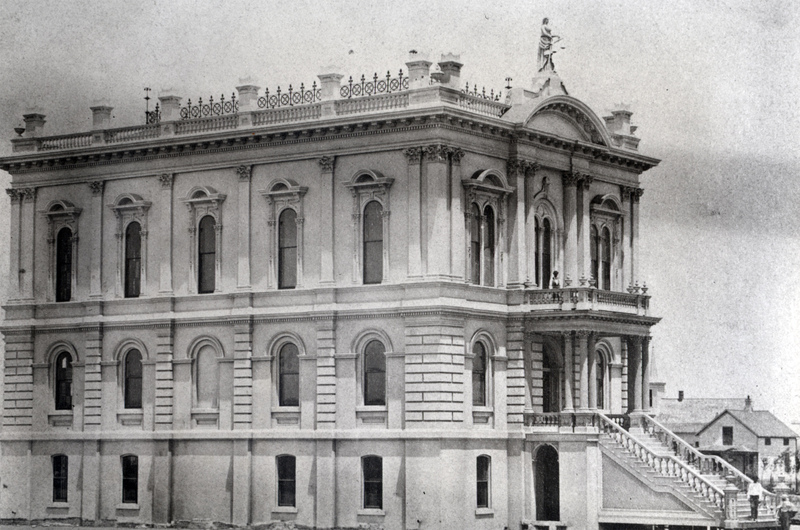 Our first courthouse, a Victorian style building, was designed by Albert A. Bennett and opened in the early 1870s. The second courthouse, opened in 1960, was designed by Mitchell Van Bourg, a student of Bauhaus Movement founder Walter Gropius at Harvard. Its design has elements that reflect the Bauhaus tradition but with adaptations to our local environment that make it an example of Central Valley Modernist architecture for which Modesto is famous. 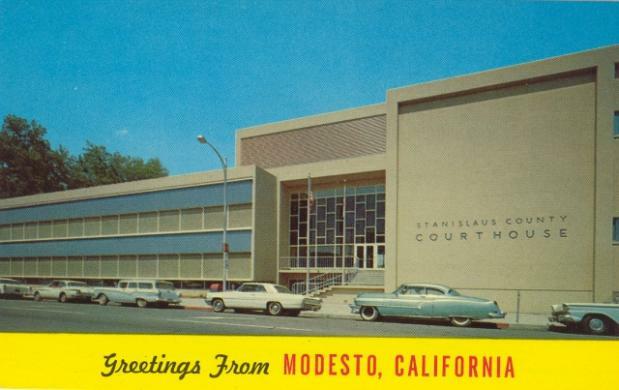 The new courthouse will also give Modesto a second chance at a courthouse square. Our first courthouse was surrounded by a park, most of which has long ago disappeared. Since the new courthouse will cover an entire city block, I’d like to see as much open area as possible with landscaping and outdoor areas for everyone to enjoy. What qualities would you like to see in our new courthouse?